Had a great time, girls! Sa uulitin! Made some merbird cards for Valentine’s day. The one above was made using the lacey heart pattern rubberstamp I made a few weeks ago and a calligraphy pen. Liebster Award and V-day stamped cards! I was nominated for the Liebster Award by the awesome Eliza! Thanks Eliza! The Liebster Award is given to up-and-coming bloggers with less than 200 followers. Since this is my craft blog, I’ve decided to share 11 Artsyfartsycraftsy facts about me instead. 1. I made zines as a kid. I was obsessed with mermaids and made one with a short story, a crossword puzzle, a riddle page, comics and fake mermaid bios. Cricket magazine was my source of inspiration back then. 3. Since we didn’t have a gameboy or a family computer, we made a gameboy out of paper. The game was Popeye and the objective was to reach Olive Oyl, dodging the baddies and eating Spinach for strength along the way. 4. We had a gumamela shrub and I loved it so much. As a kid, I tucked it behind my ears and made bubbles with it and still fantasize about that gumamela jelly my mother said she made as a teen. 5. Influenced by Sweet Valley, I attempted to make my own YA novels using cheapo spiral notebooks. I had fun with the physical description part and drawing them on the first page but never got to finish them because of my extremely short attention span. 6. I was obsessed with no-cook fudge and pastillas as a kid. I was so obsessed and believed that it was a big deal that I drew the steps of the recipe. I saw the drawing recently, complete with overzealous ALL CAPS. 7. There was an old cookbook at home and I was searching for recipes that involved ingredients we already had and saw one recipe that seemed easy enough and didn’t need cooking. Turns out it was eggnog, which I didn’t fancy at all. 8. My mom encouraged me to craft. We’d make nature impression prints using leaves and kraft paper and use air-dry clay to create tiny pots and pans for my dolls. 9. I can never cut straight lines, even if I wanted to. I just can’t do it. 10. Because I’m not fond of sewing, I use pinking shears to prevent fabric from fraying, and to add that punky DIY effect. Or I’m making excuses because I’m too lazy to sew, heh. 11. I’m a spiritist, but I used to teach Sunday School at the Catholic church when I was in highschool (it was required by our school) and for Valentine’s day I brought some colored paper, scissors and crayons and told the kids to make V-day cards for their loved ones. I was so surprised and happy that they gave their cards to me afterwards and ended up bawling in front of the kids, haha. 2. If given the chance to live in a foreign country, where would you go? I haven’t been to Japan and I think living there would be very interesting (crafty and fashionable people, lots of fat cats, my oh my). Melbourne, Australia is heavenly too. I’d love to live there and make and sell crafts and zines. Then I’d subscribe to Frankie magazine and attend craft expos. Mmm, craft expos. 3. What’s the last film you’ve seen? Did you like it? Les Miserables. Quick story: When I was a little girl my dad would play cassette tapes of Les Miz (The London cast) during road trips and tell us the story behind each song. I grew to love it, almost to the point of memorizing each song, and often dreamt of there being a musical movie with stars I know. I didn’t like the first film (because it didn’t involve the songs) so this film is my dream, after more than ten years of dreaming about the concept itself. I am very biased and give it a rating of 5/5 stars. Also, yes, I was crying audibly all throughout the movie, haha. Opening credits pa lang namamaga na mata ko level haha. 4. What’s the last book you’ve read? Would you recommend it? I was browsing through Jonathan Adler’s book: 100 Ways to Happy Chic Your Life at some bookstore and I felt so happy to be reading it at the start of the year. Very light, fun and inspiring. 5. What course did you finish in college? If given the chance to choose another course, what would it be? Communication Arts. Wish I was brave enough to go after my dream course at that time, which was Fine Arts. 6. If someone’s going to make a film about your life, who would you choose to play your mother? 7. Favorite cake flavor? ice cream flavor? Love this question! Haha. I like Brazo de Mercedes from Goldilocks and Costa Brava’s Caramel Cake. For my fave ice cream flavor, as of now I like salted caramel, earl grey and fruity blends. Also coffee! Not a chocolate fan, sorry. I can roll my tongue! Does that count? 10. Worst vacation/trip so far? None–I willed myself to forget those bad memories haha. 11. Best vacation/trip so far? That backpacking trip to Europe back in college. Best ever. 1. Most inspiring place in the metro? 2. Who is your favorite local artist and why? 3. Who is your favorite foreign artist and why? 7. Favorite movie and book? 8. Favorite childhood activity related to arts/crafts? Also! Have I mentioned that I love Valentine’s day? After Christmas, it’s my favorite holiday since it gives me an excuse to declare my love for everyone around me and to be as mushy and cheesy as possible. Last year I gave origami hearts to office friends, with little notes on why I think they rock. This year I plan on giving stamped cards! 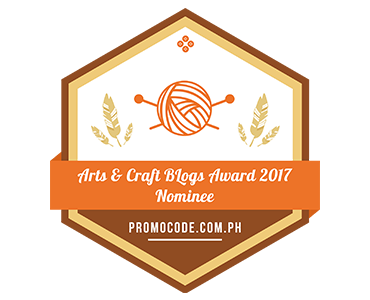 I’m planning on having a Mabuhay DIY craft challenge soon, with handmade goodies to be given to a lucky participating crafter, so stay tuned! Today was a productive craft day since I decided to save money and just stay home, just devoting an entire day to artsycraftsy activities. My first project involved making an owl artwork for Tippy of Googly Gooeys. (Check out her site, it’s one of my favorites!) She sent me a beautiful watercolor painting with my name in calligraphy and I’m planning on making a future post involving all the beautiful handmade items I’ve received via mail. I love snailmail! I thought she might like something with owls because I remember that awesome owl mask she did at the Hey Kessy Messy Washi Party. I drew the owl with a waterproof marker, used the crayon-resist method to draw some feathers, and painted the background using my Prang watercolor set. Then I stamped some flowers on top. I hope she likes it! Then I took out my crayons and made crayon-resist cards. I was supposed to create a tutorial but got attacked by the lazies, heh. Plus I think we were taught this in grade school so I also felt a bit shy sharing what I think you might know already, haha. I have some leftover crepe paper from making a surprise birthday gift ball for Kate, so I used it with cutouts from a German Asterix comic I got from Booksale and made a collage. I also used my Encanta sticker dots and washi tape from Hey Kessy. Since I love Lumpy Space Princess, I made a clay pendant of LSP too! I was organizing my craft box the other day and I stumbled upon an old MT tape brochure I got from Heima years ago. I remembered how my love affair with washi tape started and until now I’m still excited about the endless possibilities washi tape can offer. I saw a project in the brochure involving polaroid and colored paper as art, stuck to the wall with washi tape. It inspired me to make these collaged washi cards, using the most abundant material at home: magazine cutouts! 1. Fold your cardstock in half. Cut the colored paper in a size a bit smaller than the cardstock. I used pinking shears because I can never cut a straight line. Heh. Position it wherever you want. 2. Decide where you’ll place your cutout, you can use a dab of glue to stick it to the cardstock too. 3. Use washi tape to decorate the edges and to also stick all the elements to the card. I used the round edge puncher given to me by Nayna (Thank you!) to round off the edges. 4. Voila! Instant collaged washi card! Here are the other cards I did. I used a brown paper bag as the colored paper and cut the image with pinking shears for the first one. For the second one, I tore the colored paper for a distressed effect. Have fun making your collaged washi cards! 🙂 I’d love to see what you can come up with!